Everything Beauty and Beyond! : My Favorite Top Six Eye Shadow Palettes! My Favorite Top Six Eye Shadow Palettes! I just love eyeshadow palettes! I really don't own (expect for two) single eyeshadow pots. I normally like them to come in a palette as they are easier to travel with, carry and don't take up to much space or need massive depoting. When I normally buy eyeshadow I look for three things; texture, colors and blendability. The company who makes it doesn't really matter to me as long as it fulfills my top three requirements. I have bought eyeshadow before for reputable companies who either had horrible selection in colors, bad texture (crumbled, creased and flaked easily) and did not blend well at all! So here are my top six picks in eyeshadow palettes!! When I first saw this palette being used by a youtuber I knew I had to have it if I ever wanted to create a brown or black smokey eye effect. 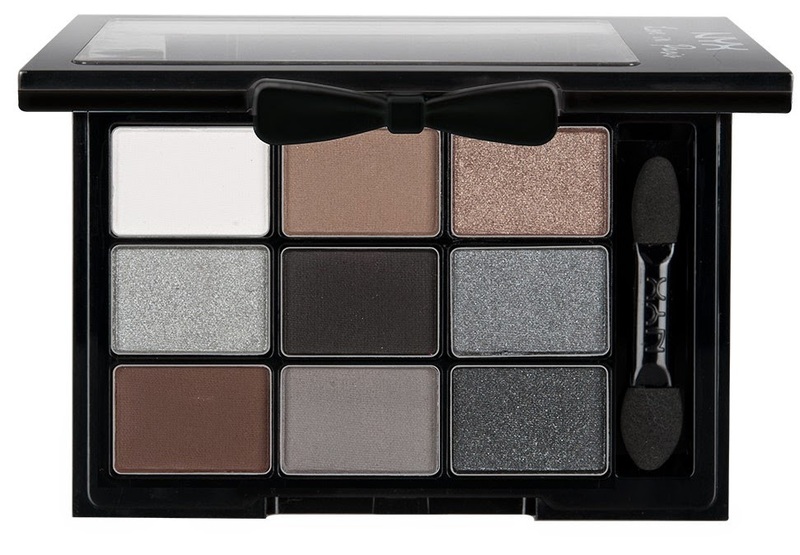 I love this palette (literally) for its smokey eye colors. It even come with a highlighter for the eyebrows! These colors blend in so smoothly and are nicely pigmented. It has little fall out or creaseability and for $10.00 is quite impressive and worth the money! People rave about the Naked palettes and for good reason. All the colors are highly pigmented, smooth and creamy to apply and have great wearability. 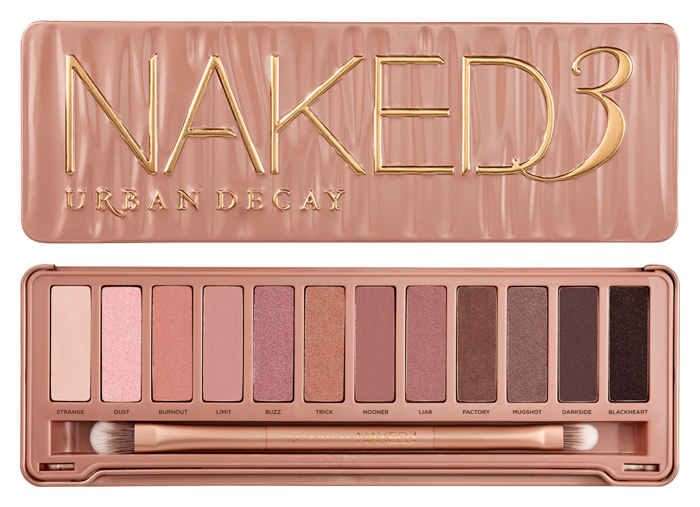 I love love the Naked 3 palette. The colors are very rose tone in color and are great to use for all seasons and day/evening time hours. They have a good mix of shimmer and matte colors. I'll be honest, I love some shimmer in shadows so that it stands out a bit. While I would prefer that my eyes not look like disco balls, nonetheless a little sparkle is always cute to wear in a sophisticate grown up type manner! When I first saw this palette I fell in love. The colors on this palette are just phenomenal. This palette literally looks like a piece of artwork for me and truly makes my eyes look like a master piece after applying. The colors are beautiful with lovely hues of purples and very light pinks. I wore this palette for a month straight before I decided to give it a rest before I ended up hitting pan on all shadows! 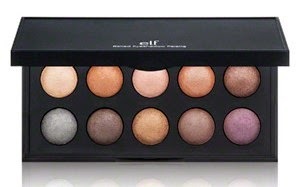 I would highly recommend this palette as you can wear it any time throughout the day due to it versatility. I saw this palette one day while searching youtube and was in awe of its beauty. I really wanted to buy it till I saw the price tag! Eh...yea no. However I did find it online on amazon.com for $40 bucks. I was so excited to receive it at home! I love the fact that it has two eyeshadows, a blush and a liner all in one. It really is a big compact. However you can use all of them as eyeshadow if you like. 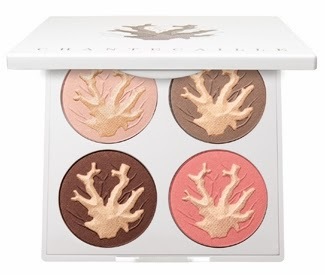 It has a beautiful gold painted reef on the front of each shadow. Sadly, once you start using the palette the gold reefs does rub off. Nonetheless these colors are just beautiful and literally feel like butter (I kid you not) when you are using your brush to pick up the color and apply them over your eyes! This was the first palette I ever bought! I was so taken by the colors and for the price I knew it was right. 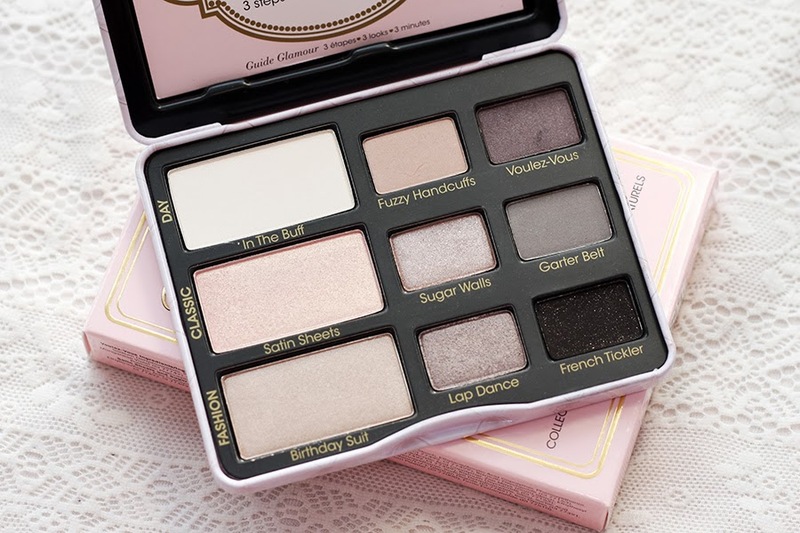 While this palette does have a lot of fall out when you are trying to pick up the color, however once applied to your eyes, it looks beautiful and really gives your lids a lovely glow and look to the them. I especially love the mica color (the dark silver on the lower left hand side) and how great it looks when applied with any of the brown colors! Worth the buy from E.L.F. I recently went to the Toronto Premium Outlets in Brampton, ON and came upon a makeup store that was selling this eyeshadow in a kit. I got a full size mascara with an eyeliner plus this trio eyeshadow for $29 dollars! Sold!! I have to say I love these shadows. I have been using them non-stop. They literally leave such a soft glow on a face especially when using them during the day. The three colors just work so well and look so beautiful when applied. Even though its only three colors to play with, but so worth the buy. I don't know if Smashbox is still selling them, however you can buy this at the outlet mall in Brampton! Well there you have it, my top six palettes that I reach for often! I like the colours, there gentle and I like palettes too. Fun to have a selection that works together already put together.